We are entering the third age of Apple . AAPL +2.35% A PC company first, and now very much the trillion-dollar iPhone company, Apple Inc. is evidently in search of its next big thing. Speculation about what that might be runs rampant every time a new Apple skunkworks project is revealed, be it a self-driving car, a health-care push or a pair of augmented-reality goggles. While the services that come paired with iPhones are themselves a substantial and growing part of Apple’s revenue, they will continue to need hardware to lock in customers. I’m placing my bet on a small but already thriving component of Apple’s portfolio: wearables. In the company’s last earnings call, Apple Chief Executive Tim Cook said the company’s Apple Watch and AirPods headphones generated $10 billion in revenue across the past four quarters. True, Apple made nearly $30 billion in iPhone revenue in its most recent quarter alone, but wearables sales are growing at a time when smartphone and PC sales are stagnating. 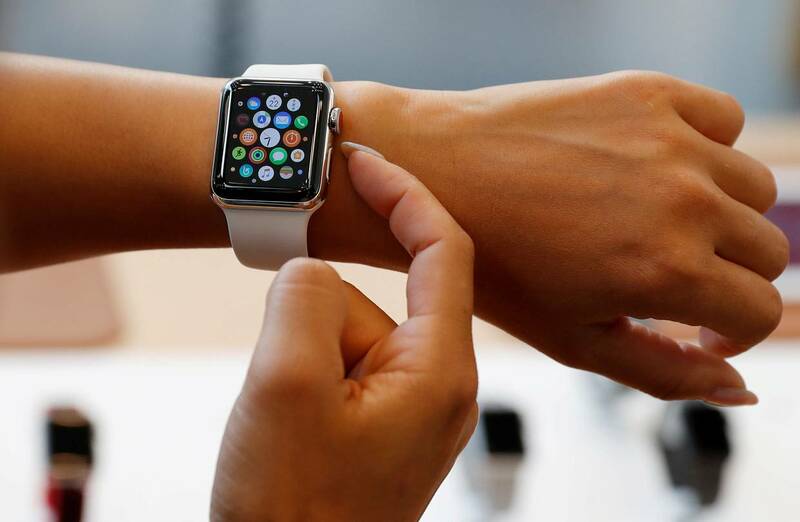 Tech research firm IDC named Apple the wearables market leader, with a 17% global share. Next week, Apple is expected to announce a new Apple Watch and AirPods along with a passel of new iPhones. There probably isn’t anything revolutionary here, but the updates will no doubt power Apple’s relentless push toward its wearable aspirations. The new Apple Watch will likely be a more capable health monitor and phone replacement, while the new AirPods will be a bridge to Siri and other apps. What is apparent is that Apple is building out an ecosystem of wearable computers that its customers will buy some subset of, depending on their needs. Still on the horizon are augmented-reality wearables—perhaps glasses or goggles—and other sensors on our bodies or in our environments that provide additional ways to monitor health. Yet current attempts at AR seem mostly like demonstrations of how profoundly difficult it is to pull off. In what might be called true AR, objects are superimposed over our world so that they look real. Currently, Apple’s ARKit can add digital objects only to what you see through an iPhone. Even the current leaders in the field of AR optics, Microsoft Corp. and Magic Leap Inc., have so far delivered only bulky, awkward headsets. This is likely why Apple purchased Akonia Holographics, a startup that makes lenses for AR glasses. It’s also likely why Apple watchers don’t expect any AR goggles at next Wednesday’s iPhone hoedown. If Apple’s past playbook is any indication, the first AR headsets the company does eventually release will probably be impressive but limited—most useful in conjunction with the iPhone. That is to say, they’d work like Apple Watches: great at giving you glanceable information, stupendous at one or two things that only AR glasses can do, but not themselves replacements for iPhones. There are potentially other directions Apple could go in wearables, especially with health sensors. In 2017, Apple acquired sleep-tracking hardware maker Beddit. The company is in talks with the Food and Drug Administration about future health-tracking software. And Apple has patented a system for tracking heart rate through earbuds. All of these incremental advances could expand Apple’s market share and reach. And it’s that revenue—in services and semi-annual hardware upgrades—that matters most for Apple’s future. Sales of Apple-made wearables may never eclipse those of the iPhone, yet wearables could still be the most important driver of Apple’s overall business. The key is the portion of the company’s revenue that comes from services—a piece of the pie that’s been growing even faster than wearables sales. In 2017, “services” was already a $30 billion business at Apple, and in the company’s most recent quarter, it accounted for nearly $10 billion. Because Apple’s services include subscriptions and sales from iCloud, the App Store, Apple Pay and Apple Music, this slice of revenue doesn’t fluctuate as dramatically as hardware sales. All of Apple’s wearables are not only compatible with Apple’s services, but also seem designed to enhance those revenue streams. Consider the fact that a cellular-connected Apple Watch Series 3 can stream only Apple Music, or that Siri is the only smart assistant you can summon directly from Apple’s AirPods. “When you get right down to it, is it about Apple’s hardware? Yes, but I’d argue it’s really about having the [Apple] experience on any device you choose to carry, wear or put on,” says Ramon Llamas, an analyst at IDC. Here’s how Apple maintains its edge and becomes the dominant wearables company: It makes the most capable and one of the most popular smartwatches in the world, but ensures that it’s not as useful without other Apple gadgets and services. Next, it repeats that logic for every class of wearable it eventually makes, be it headphones, glasses, health monitors or others. The result is a self-reinforcing halo effect, in which buying one Apple device pulls you into a whole world of Apple that is easier to remain in—and keep buying—than to ever leave.